Looking for Wii u emulators or a Wii u emulator you can use in 2019? Here's our list of high performance Wii U Emulators for Mac, Linux and Windows PC. Wii U Emulator is considered the best and most popular video game console to play Nintendo Wii games on computers and smartphones despite the fact that there're other handheld gaming consoles such as Sony's PlayStation 4 and Microsoft's Xbox One. The Wii U Emulator provide an enjoyable gaming experience when it comes to HD graphics and easy to control GamePad. Moreover, Wii u emulator can run a lot of Wii u games, but depending on the power of your device all may not run at full speed. However, the Wii U received criticism in several areas, including the GamePad, battery life and issues with the console's user interface and functionality, along with a weak lineup of launch titles and a lack of clear vision, these led to low sales primarily and for that reason Wii U production officially ended in 2017 then Nintendo Switch took place as its successor. Note that the discontinuation of Wii U doesn't mean you can't play Wii U Games, and you should also have it at the back of your mind that the above information is just a brief summary of how the Wii U device came into existence. 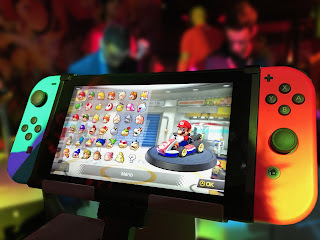 So if you want to play all your favorite Wii U games like Super Mario Bros on Android or perhaps on Windows PC without the original Nintendo Wii U console, then here is a list of Wii U Emulators for Mac, Linux and Windows PC. Cemu emulator brings compatibility of all Wii U games to Windows OS. This version of Cemu is one of the best emulators commonly used on Windows operating system with abilities to run high definitive games without any interruption. To play Wii U games like The Legend of Zelda: Breath of the Wild, Rayman Legends, Super Smash Bros. for Wii U, Super Mario 3D World, mario kart wii and other action games. How to play Nintendo Wii u games on PC? It's very easy, but you will need a decent PC gaming system to use Cemu Wii U Emulator at playable speeds. This emulator support manual configuration which you have to tweak as per your system for maximum FPS and good graphics in higher resolutions. That's great! Decaf emulator is one of the original and best Nintendo Wii U emulator for Windows PC and Linux to play all Nintendo Wii U games smoothly even on low-end computers. It runs a lot of Wii games, but depending on the power of your computer all may not run at full speed. With Decaf emulator you can easily enjoy all stories behind classic retro video games such as Xenoblade Chronicles, GoldenEye, Starfox 64, the Star Wars, video game series and the Mario series as well as other exclusive hit titles. You should stop looking for Wii U Emulators now, and just use the above listed Wii emulators for Mac, Linux, and Windows PC. It is by far the best alternative which brings all the Wii u games features as seen on the original Wii u video game home consoles to computers. Do try it out and let us know your experience in comments. Do you need a 90% discount on purchase you made online? See our Black Friday 2019 Deals (best deals on all products).